You are currently browsing the category archive for the ‘Fracking’ category. Whew, 2014 went by quickly and we were busy! GCM produced a landmark year, bringing long-term projects (2+ years) to a close in 2014. Working in partnership with Coming Clean Collaborative and community partners to simultaneously release Warning Signs, a national report, and journal article on gas operations/fracking in late October. The report and article featured GCM’s monitoring work around gas operations in six states and provided a snapshot of the impacts of the industry throughout the country. Bucket Brigades in Albuquerque, Mesquite and the Navajo Reservation in November. In partnership with Center on Race, Poverty and the Environment and the Committee for A Better Arvin, we gathered a trail of evidence exposing the local compost facility’s poisoning of the local community. 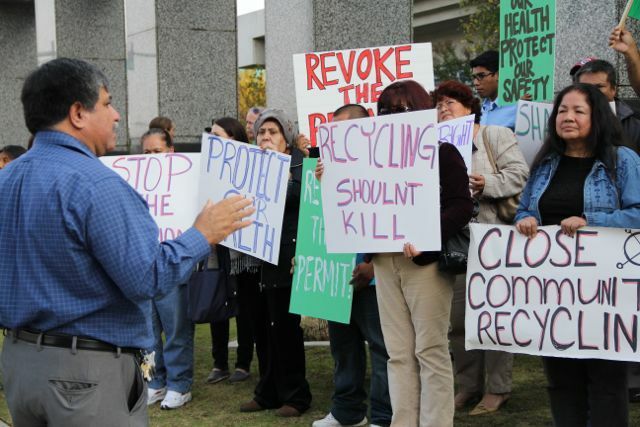 The publication, Rotten Neighbor: The Story of Community Recycling and Resource Recovery and the South Kern Communities Held Hostage by Neglect was released on the 3rd anniversary of two young workers’ deaths in October. GCM also closed out the East Bay Body Burden Study in August. Argentine/Turner, Kansas: Focusing on a nearby rail yard, GCM and partners released a report that showed unhealthy levels of diesel exhaust, levels high enough on some days to send the elderly to the hospital or to raise the death rate among residents. The project was featured in a front-page story in the Kansas City Star. Seward, Alaska: In July, the Resurrection Bay Conservation Alliance, Community Action Against Toxins and Global Community Monitor released the results of our collaborative air quality testing study. The report samples revealed that air around the Seward Coal Loading Facility expose neighbors to crystalline silica. Houston, Texas: After closing out a year of sampling, we issued a report suggesting that every day the 10,000 residents of Galena Park are being exposed to unhealthy levels of particulate matter pollution from 5,000 diesel trucks entering and exiting Houston’s port. Plaquemines Parish, Louisiana: Working with local residents, the Gulf Restoration Network and the Clean Gulf Commerce Coalition, GCM launched a coal export monitoring project in 2014. GCM has begun developing a model for improving the acceptance of community-based air monitoring and data into air district policy and decision making and enforcement of existing rules. GCM’s Central Valley Organizer responded to complaints about gas odors in residents’ homes in Arvin, CA. Sample results revealed over twenty toxic chemicals, including cancer-causing benzene. The County evacuated eight homes. It was determined that fracking waste gas was beneath the homes. After months of advocating, Governor Jerry Brown intervened on behalf of the State. Chevron’s real time Air Monitoring system in Richmond, CA went online with GCM serving as the City of Richmond’s expert advising the staff and ensuring accountability. This system is the best state-of-the-art refinery air-monitoring project in the nation and establishes a national model. GCM has been participating in SF Bay Area Air Board meetings to advocate for the strongest Refinery Crude Slate and Tracking Rule in the nation. GCM provided guidance, planning and fundraising assistance to a newly formed Bay Area Refinery Corridor Coalition in the San Francisco Bay Area to help address crude by rail projects and refinery expansions. Parish, Jamaica and the Neighbors for Clean Air in Portland, OR. GCM organized a national gathering, the Community-Based Science for Action Conference, in November in New Orleans. This three-day event was co-hosted by local partners, Louisiana Bucket Brigade and Public Lab. 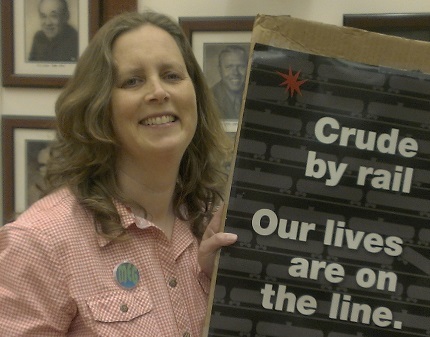 The event included a toxic tour of coal trains and a coal terminal in Gretna and Ironton, LA. Over 50 people, primarily industrial occupation doctors and nurses associated with the American Public Health Association Conference, attended the tour. The following two days brought together approximately 150 attendees participating in 20 sessions featuring presenters from leading organizations and academic institutions. Feedback from presenters and attendees has been extremely positive and supportive. GCM was able to offer 35 scholarships to community members and presenters. In addition, we participated in the Rally Against Fracking in Sacramento and all four of the Healing Walks in the Bay Area, organized by Idle No More. So Happy New Year! And let’s see what we can accomplish in 2015. In the past few months it has been revealed that trains transporting heavy crude oil from North Dakota and Canada are in our midst. Much of this new crude is from North Dakota’s Bakken Shale basin, which is more explosive than other fuels and has been responsible for several recent disastrous accidents. Troublingly, California state and regional officials seem alternatively caught unaware or unconcerned about the increased so-called crude-by-rail traffic. Fortunately, local officials, concerned citizens, and some media have started calling attention to the dangers and pushing back. Several proposed off-loading terminals and oil-refinery expansion projects in California promise to increase the use of fracked volatile oil from North Dakota and elsewhere. The rail routes pass through Richmond, Berkeley, and Oakland in northern California and Los Angeles and Long Beach in southern California — all areas with large populations. Four of the five Northern California oil refineries are in Contra Costa county, and communities there are facing the prospect of new and expanded facilities. If the consequences of such blatant ignorance or negligence wasn’t so dire, this would be laughable. Schremp was later forced to amend his statement when shown evidence of what is already happening on the ground. What does the increased crude-by-rail traffic mean for communities on the front lines? 1)First, it means that communities are at increased risk for accidents. Fracked oil from North Dakota is more volatile, and catches fire and explodes much more easily. Last year alone, more crude oil spilled from train accidents across the nation than the previous 40 years. In 2008, fewer than 10,000 cars of heavy crude were being transporting by rail. Last year the number was 400,000 cars, by industries own numbers. “Every time you have increased traffic there’s an increased risk,” said Paul King with the California Public Utilities Commission, the agency that oversees the inspection of railroads. 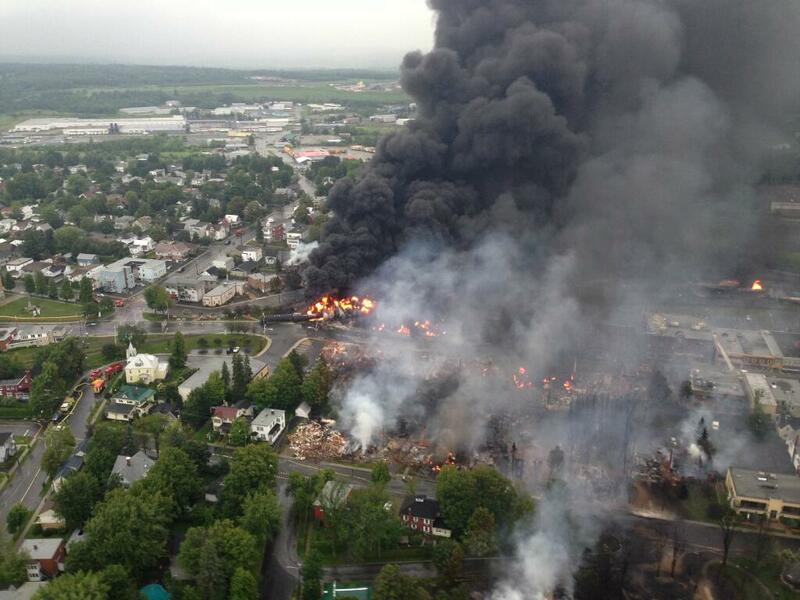 Last July, a train carrying heavy Bakken crude derailed and exploded in downtown Lac-Megantic, Quebec, killing 47 people and leveling over 30 buildings in the town’s center. In December, a mile-long train carrying crude oil derailed and exploded in North Dakota, forcing the evacuation of the town of Casselton. The most recent accident in April involved the derailment of several CSX tanker cars carrying Bakken crude oil in downtown Lynchburg, Virginia, threatening drinking water supplies. Federal and state regulations simply haven’t caught up to the increased traffic and the more volatile fuel that is being transported. In December, three rail cars carrying petroleum coke derailed as they were leaving Valero’s Benicia Refinery, the same facility that is proposing expanding to increase its crude oil capacity. Despite assurances by the oil & rail industry of their safety record, some recognize many of the rail cars (DOT-111A) are not equipped to carry heavy crude safely. The Chairman of BNSF Railway Company (owner of the trains in the Casselton accident) said this week that “Without focus on the elements of safety, the social license to haul crude by rail will disappear, to say nothing of the regulatory agencies’ response.” Even billionaire Harold Hamm, head of oil company Continental Resources and ‘godfather’ of oil boom in North Dakota, admitted that just one more accident would be enough to put the brakes on Bakken oil development. In addition to the safety issues of transporting heavier crudes by rail, the existing pipeline infrastructure leaves much to be desired — just last year, over 5 million gallons were spilled in over 400 incidents. Pipelines moving heavy crudes at high temperatures through California have had significantly higher spill rates than pipelines moving conventional oil. In March 2013, thousands of barrels of crude from the Canadian tar sands spilled from an ExxonMobil pipeline in Mayflower, Arkansas, resulting in putrid smells, families being evacuated from their homes, and reports of air pollution and water contamination. Athabascan crude (tar sands bitumen) is very thick, making it very difficult to clean up properly. And just last week, about 10,000 gallons of Californian heavy crude spilled into the streets of Los Angeles. 2)Second, increased crude-by-rail means increased air pollution in communities already bearing a heavy pollution burden. Refining heavier crude creates more pollution, including volatile organic compounds, nitrogen oxide, and particulate matter than conventional crude. In Benicia, CA, Valero Energy Corporation foresees off-loading crude oil from one hundred rail cars every day. In addition to the pollution from refining itself, each car would require connect-disconnect operations that will increase toxic vapor emissions. On top of this, increased rail traffic often results in more auto congestion, as cars and trucks wait for trains to pass by. Traffic back-ups pose problems for emergency response vehicles and the idling vehicles in turn increase tailpipe emissions, contributing to poor air quality. 3)Finally, it ultimately means more carbon in the atmosphere. Heavier crude oil equals higher greenhouse gas emissions. The fact we are talking about this issue at all is a symptom that we are still very much addicted to dirty fuels — it should be yet another signal that we need to shift as much attention and resources towards transition to clean energy economy. At the end of the day, any one of these three consequences should give pause to any community through which the product is being trafficked. Combined, they spell WRONG DIRECTION. California has already seen twice as much crude oil this year as it did in the first quarter of last year. And with rail traffic of volatile crude expected to increase 25-fold in California over the next two years, it seems we should all be standing up and questioning this growing trend. Do we want this to be the new normal? Fortunately, communities are waking up and taking action. Across California, citizens have been coming to city council meetings, writing letters, commenting on environmental impact reports, and organizing informational events and healing walks. Marlaine Savard, one of the citizen survivors from the Lac-Megantic tragedy, conducted a week-long speaking tour in March throughout the Bay Area, highlighting the dangers crude-by-rail poses. In Pittsburg, CA, the plan for a massive oil terminal proposed by WesPac Energy Group hit a snag after engaged citizens vocalized their concerns. In February, after six months of fighting to STOP WESPAC, residents and supporters got a break. Mayor Salvatore Evola announced that the City had sent a letter to WesPac addressed to the Project Manager, informing that city planned to re-open a new public review and comment period for portions of the Recirculated Draft Environmental Impact Report (RDEIR). Residents and supporters are yet to see a response from WesPac’s management. No news is good news! Even the Pittsburg school district trustees took a stand against the proposed oil storage project. The increased attention here and across the nation about the dangers prompted the U.S. Department of Transportation (U.S. DOT) to act. Earlier this month, U.S. 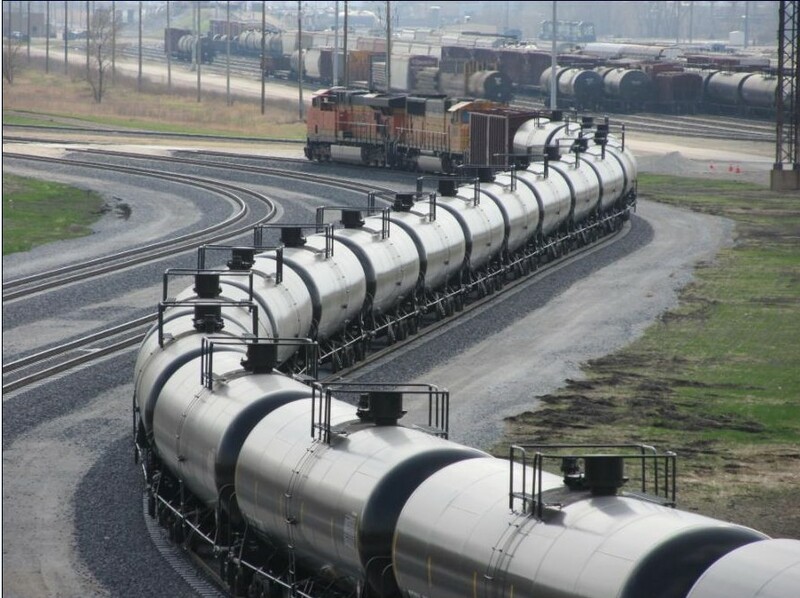 DOT issued an Emergency Order requiring all railroads operating trains containing large amounts of Bakken crude oil to notify State Emergency Response Commissions (SERCs) about the operation of these trains through their states. Perhaps it’s a good first step. Meanwhile, because of pressure from citizens, Berkeley and Richmond city councils unanimously passed resolutions opposing crude-by-rail shipments through their jurisdictions. However, local actions like this may remain largely symbolic, as federal law trumps local regulation. Yet, every act of resistance and engagement plants a seed and highlights an issue that needs to see more daylight. The Chair of the SF Environment Commission has initiated a discussion about working with the Port of San Francisco to develop a policy prohibiting the transportation and export of hazardous fossil fuel materials such as coal, crude oil, and petroleum coke. Residents of San Francisco can show their support at City Hall today at 5pm, when the Policy Committee meets. The Bay Area Air Quality District (BAAQD) issued a permit to Kinder Morgan to operate to a crude-by-rail project in Richmond, without public input or opportunity for public comment. Sponsored by Benicians For A Safe and Healthy Community. Join Marilyn Bardet to learn about environmental quality in Benicia and the added risks of Crude By Rail. The tour will be by car, with stops at strategically chosen spots where informal discussion will take place. Meet at the Clocktower. Limit is 25-30 people: please RSVP to info@SafeBenicia.org. June 10: Draft EIR Release Public Comment period for Valero Benicia Refinery project begins. Take Action to make your views known. To become more informed, check out Safe Benicia’s Learn More page, and visit The Benicia Independent. Walk/Ride from Benicia to Rodeo, June 14. More info here. 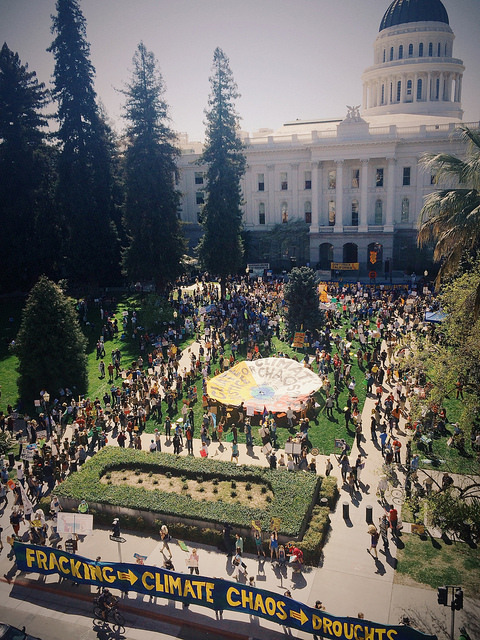 I’m thinking to myself, “Man, I wish I could get a bird’s eye view of this!” I was one among thousands (estimates ranging from 2000 to 4000+) of so-called “fractivists” in Sacramento on March 15 for what is being called the largest anti-fracking demonstration in California history. The participants were a diverse mix of folks from all over California who managed to encircle the Capitol building, bringing a simple message to Governor Jerry Brown and legislators: fracking poses too high a risk to our water, air, food, climate, and health to be considered a ‘safe, alternative’ energy option – time to ban it in California! The rally was organized by Californians Against Fracking, a statewide coalition of more than 150 organizations, including 350.org, CREDO, Food and Water Watch, Oil Change International, Greenpeace, Sierra Club San Francisco Bay Chapter, Ecological Farming Association, and others. Over 20 buses were chartered to bring people from all over California. Fracking – short for hydraulic fracturing — is a method of oil and gas production that involves injecting a concoction of millions of gallons of water, sand and toxic chemicals, under high pressure deep into the earth in order to break up rock formations, allowing oil and gas to be released more easily. It struck me – this was not a typical Bay Area crowd of aging environmentalists or raging grannies (though they were there too) and young radicals (though they were here as well). In addition to those who might self-identify as environmentalists, these were farmers, nurses, fishermen, students, academics, indigenous groups, and citizens from both California’s cities and from rural Central Valley, which is bearing the brunt of fracking activities. Tom Frantz, a Kern County almond farmer and clean air advocate, told the crowd in an inspiring speech: “If you are eating carrots, lettuce, tomatoes from California, you are eating foods from fields where fracking is happening right now.” Frantz is among a growing number of farmers — concerned about the unnecessary waste of water in an already water-stressed region — who are calling for a fracking moratorium. Pennie Opal Plant, an indigenous activist and small business owner from Richmond, who is active in the Bay Area affinity group Idle No More, spoke elegantly about indigenous resistance to not just fracking, but fossil fuel extraction across North and South America. Speaking of Mother Earth, Plant said, “We are not her failed experiment. That is not what we are. We are her immune response.” See her speech here. Elise Gyore, Legislative Director for State Senator Holly Mitchell, took to the stage to plug fracking moratorium legislation (SB1132) and to urge Californians to call and write their representatives to support it. The bill, sponsored by California State Senators Holly Mitchell and Mark Leno, would place a moratorium on fracking and well stimulation, including a newer technique called acidization, both onshore and offshore, until the state Natural Resources Agency completed a study (mandated by last year’s fracking bill SB4) and Governor Brown ensures that fracking and well stimulation are not harmful to California’s public health and the environment. She also urged people to come to the public hearing in the Senate Natural Resources Committee on April 8 at 9:30am at the Capitol. I wanted to give a shout-out to the legendary Pete Seeger, who passed away earlier this year. He no doubt would have been in Sacramento in solidarity — as he was in New York — leading fractivists in song and spirit. Click here for a great round-up of coverage of the event. And on Twitter dial into the hashtag #DontFrackCA. Fracking without Adequate Regulation……… even in Environmentally Friendly California!?!?! Remember, a little over a year ago, when the State of California proposed new fracking regulations? Remember how they do not regulate air pollution associated with fracking? Well they are currently in the public comment period and we want to make sure Governor Jerry Brown hears our concerns about the air pollution associated with fracking. Wednesday, January 8, 2014: GCM staff traveled to California’s Central Valley to unite with the residents living on the front lines of the fracking boom, to express concerns regarding the Division of Oil, Gas and Geothermal Resources’ (DOGGR) proposed regulations at a public hearing held at the Kern County Administrative Building. What a trip!! Residents traveled from all over the Central Valley, showed up early with signs and anti-fracking chants. We staged a rally out front and cheered as motorists honked in support. Then, one by one, we filed in and filled out our cards to make public comment. Everyone could agree that these proposed regulations were not going to protect the health and safety of Valley residents from the potential pollution associated with fracking. a lack of regulation on flares. Back in December, GCM Staff connected with concerned residents in Shafter, CA where there is nearly constant flaring going on at a fracking site. The flare is just upwind of a school and community garden, where residents have reported acute health effects, like burning eyes and sore throats. Central Valley residents, active with the Bucket Brigade, were able to collect an air sample, near this site, in Shafter. The results show a presence of five different chemicals, known to be associated with fracking operations as well as increased levels of methane, also common near fracking sites. The level of acrylonitrile detected at this location, 5.9 µg/m3, is 590 times the reference level set by the US EPA, to be associated with an increased risk of cancer for a lifetime of exposure. Additionally, it also exceeds the California Office of Environmental Health Hazard Assessment (OEHHA) chronic reference exposure level, and could pose an increased risk for negative health effects on the respiratory system. The sample results also detected a mix of toxic chemicals, including styrene, chlorobenzene, toluene and ethanol, as well as a methane level of 2.7 ppm, which is higher than normal background levels, indicating that this sample location may be impacted by localized emissions of methane. Considering that California’s Central Valley has some of the worst air quality in the Country, air pollution from fracking could serve to overburden residents living in the Central Valley. Especially among vulnerable populations like children, pregnant women, seniors and those with already compromised immune systems. Residents of the Central Valley, and all other parts of California, deserve clean air not fracking wells. Not able to express your concerns at a public hearing? No problem. Comments can be submitted online. 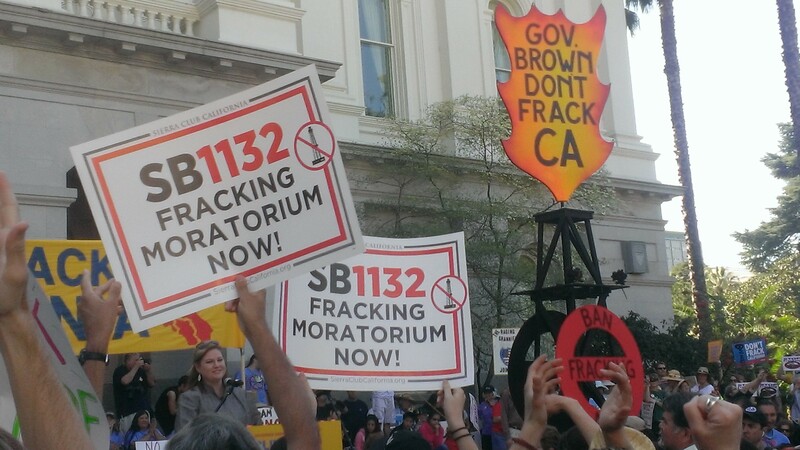 Take action for clean air and let Governor Brown know that you oppose fracking in California! Energy companies and media are touting an “energy revolution” with drilling for shale gas. This “renaissance” has claimed it will liberate America and create energy independence. However, it’s not that simple. With the low cost of natural gas in the US, neighbors of oil and gas operations in Ohio, Pennsylvania, Colorado and Arkansas have noticed a decline in gas drilling and processing activity in 2013. Some researchers believe that the shale play might have already have peaked and be on the decline. Neighbors are standing idly by wondering if they are able to pick up the pieces of their everyday lives that have been so dramatically impacted by the gas drilling invasion. Was the boom all it promised to be? Did we already bust? OR should neighbors hunker down and prepare for an all out frenzy? Is industry just taking a moment to assess the market and then go gangbusters? Why is My Water Flammable?!? Well, it’s not known for its environmentalism, with company towns popping up nearly side by side. Wyoming’s reputation for its oil and gas reserves is growing rapidly with the natural gas boom and State regulators are known for sitting with dollar signs in their eyes and giving the energy companies the right of way. 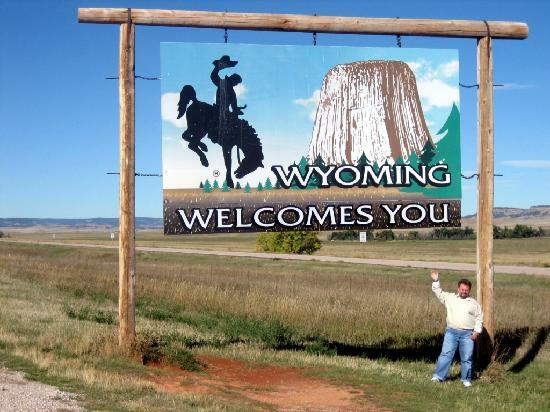 Meanwhile Pavillion, Wyoming has become the poster child for water contamination related to the process of fracking. Back in 2008, residents complained to state agencies about foul smelling and tasting water from the wells on their property. Turns out the increase of these complaints coincided with the booming natural gas development in the area. Then a couple of years later, Gasland hit theaters and we all watched residents from across the country light their water on fire. When the Wyoming state agencies failed to conduct water monitoring in Pavillion, residents took it to the regional EPA, who finally listened to the concerns of the residents and began monitoring the well water in Pavillion, WY. Turns out, the EPA study found that there are hazardous chemicals in the drinking water, like methane, petroleum hydrocarbons and naphthalene. The Agency for Toxic Substances and Disease Registry (ATSDR) actually recommends that residents “use ventilation when showering” and “avoid fire or ignition sources while water is running”. Now, here’s where it gets tricky. Last month, the US EPA announced that it was abandoning the study. No more samples, no more peer review, it’s time for them to pack up their bags and go home claiming that the State of Wyoming will take it from here- with the $1.5 million grant they received from EnCana, the very same company likely responsible for the groundwater contamination in the first place. 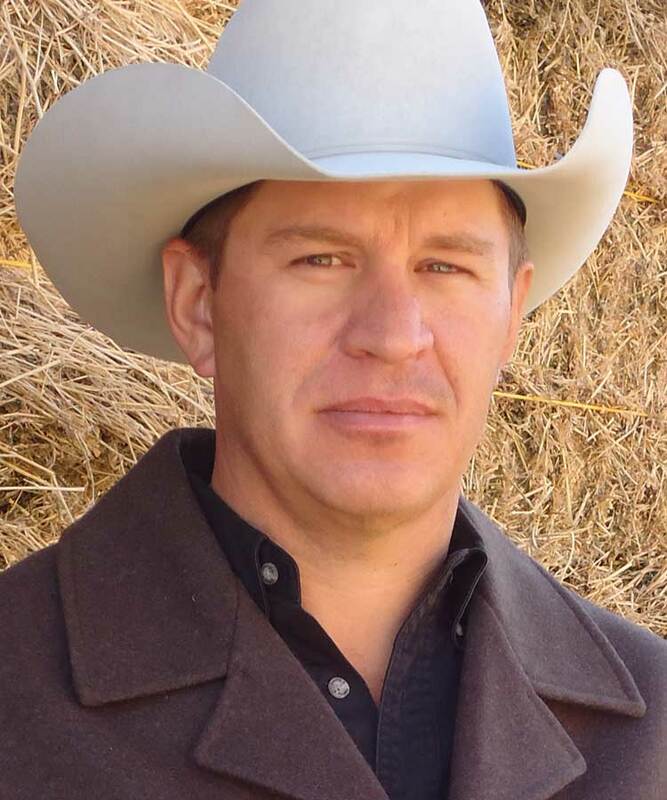 To give you a first hand look at what the residents are feeling, below is a letter from John Fenton, the Chair of Pavillion Area Concerned Citizens to the Wyoming Governor, Matt Mead. Although it appears that some of the stakeholders who have worked in the Pavillion area, such as EPA and EnCana, have been included in your planning process, we were not. As you know, PACC was formed by people who live in the affected area. We work on the issues in our community because we are heavily impacted. At this time our main concern is that we were not consulted during your planning process and your plan does not give us any process for input as the investigation moves forward. We were surprised to learn that the State will now be in charge of the Pavillion groundwater investigation. We were extremely disappointed to learn that we were the last to know. After reviewing your plan, we are also concerned. We have worked with the EPA experts for five years and are concerned that the new experts you are proposing to enlist are yet to be identified. Please clarify this situation for us. We fully support the Environmental Protection Agency (EPA) Pavillion, Wyoming groundwater investigation for the following reasons. EPA initially toured our community in 2008, after we had asked the state and industry for help for over five years with no results. The EPA experts and consultants used the latest technology to conduct a strong science based investigation and sampling plan. Throughout the process, their experts continuously kept the people who live here in the loop. They explained their testing procedures and protocols, and helped us understand and navigate the data they produced. They also listened to the information we provided; information that only we have, because we live and work with the gas development. They were always kind, courteous and genuinely concerned with the conditions we live with. They always tried to find answers to the many questions we have. We have had a good working relationship. As you know, the EPA produced a draft report of their investigation. We believe the EPA draft report should be peer reviewed, as scheduled. We recommend the State also support peer review of the report. The information in the draft report is relevant and should be used to help source, identify and remediate the contamination in our community. Regardless of who conducts the investigation and how it moves forward, the EPA report should continue to be considered. Ignoring or misinterpreting any part of the study will be extremely detrimental to our health, our right to clean water and air, as well as our property values and quality of life. The EPA’s communications with the impacted citizens was one of the strengths of their investigation. We hope to have the same communication with the State. We believe it is our right as affected residents and landowners to have a seat at the table during all phases of the investigation, plan development and implementation of the plan. The investigation was initiated and continues because of our impacts. Pavillion residents must be included as stakeholders, with a voice in how the investigation and plan move forward, before we can support any plans that are developed. We need assurance that our consultants can fully review and comment on the investigation and plans as they are being developed and implemented. Please provide us with the time frame for consideration and hiring of experts. We must have the right to review the list of experts being considered and have ample time for our consultants to review the list and comment on the experts’ qualifications. We must also have the right to recommend experts for consideration. Please provide us with the schedule(s) for all meetings involving the investigation and planning process; both public and stakeholder meetings. Please explain how our input will be heard and accepted during the meetings. Please identify the State Agency and personnel who will be our contacts, and provide their contact information. It appears there will be a final report on Well Bore Integrity and Pits. Two of our members, Jeff Locker and I, are on the working groups. Please provide us with how the working groups will move forward and what the schedule is for the next meetings. Your plan does not include complete information about private water well testing. Please provide the exact sampling procedures, protocols and guidelines referenced in the plan, including (Attachment A). Your plan does not include complete information for how the state proposes to access private water wells. Who will contact residents, and when will they be contacted? Who will construct the proposed agreement? When will residents be provided with the proposed agreement? What is the time frame residents will have to consider and sign the proposed agreement? How will the health issues and impacts from the contamination in our community be addressed by the State? Will you consult with the ATSDR, or will you hire experts to evaluate our health impacts? Your plan does not outline any process for public comment. Please provide us with how public comment will be accepted, evaluated and considered during the investigation, in the planning process and in the final documents. We may have other comments and questions after our consultants have had time to review your plan. We look forward to your written responses. What is the State of Regulating Fracking in California? The Wild Wild West-where Big Oil & Gas make up their own rules in the Nation’s Breadbasket! California has a strong reputation for environmental regulation and “green” cities. So you’d think when it comes to the controversial practice of fracking for oil and gas, California would again be a leader. Consider California’s Governor, Jerry Brown (aka Governor Moonbeam) is a Democrat with long standing environmental credentials. And the Democrats have won a “super-majority” in the California Legislature, meaning that they could pass fracking legislation without a single Republican vote. 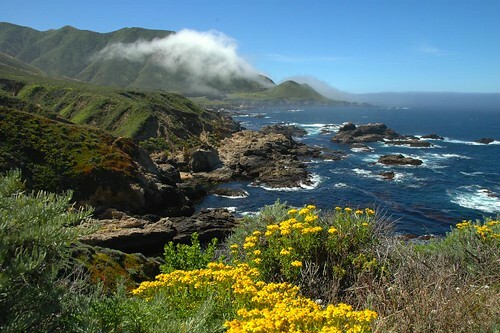 A recent vote in the California legislature denied a moratorium with regards to the central coast exploration of the Monterey Shale. A moratorium is not say no to business, it’s saying we need to find out a little more to make sure this is safe. A moratorium is not a ban, it’s pretty middle of road, reach across aisles politicking. And California said no. So what kinds of problems are real people in California encountering with the lack of regulation and oversight? Look no further than the breadbasket of America, California’s Central Valley. “One afternoon last fall, Tom Frantz cradled a video camera in his hand and pointed it at an oil well on the edge of this San Joaquin Valley farm town. Workers shuffled amid trucks and drilling equipment, preparing the site for hydraulic fracturing – fracking, for short – the controversial drilling method that has the potential to spark an economic boom in California and perhaps even free the state from foreign oil. But Frantz recorded something less promising: oily-brown waste spilled from a pipe into an unlined pit near an almond grove, followed by a stream of soapy-looking liquid. “Along once-quiet rural roads, residents complain about dust and noise from trucks and drilling equipment. Large metallic flares dot the countryside, burning off methane and other gases into one of the most polluted air basins in America. 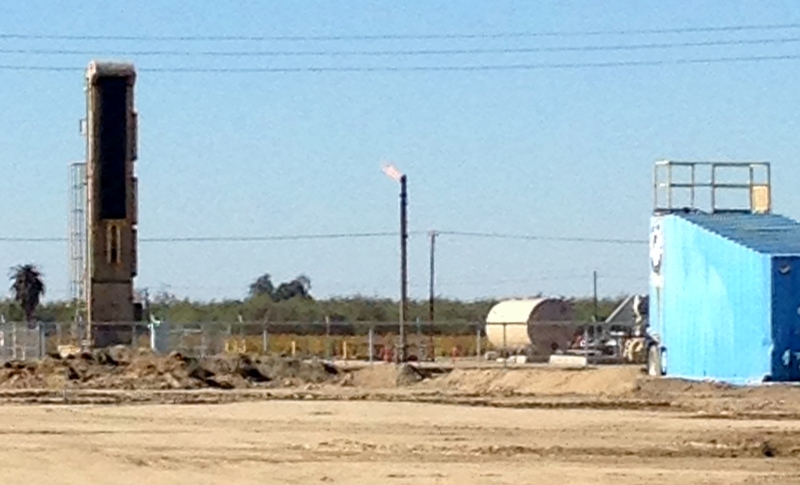 Last year, one flare roared for months close to Walt Desatoff’s home outside Shafter. “I called it my loud, expensive porch light,” he said. A retired businessman, he moved to rural Shafter in the early 1990s for its quiet pace of life. Now, he can smell the gassy odors and hear the million-mosquito drone of heavy equipment from his front porch. So Governor Brown, Lt. Governor Gavin Newsom – anybody in the State Legislature??? Hello? Are you going to help or just stay in Big Oil and Gas’s back pocket? Is allowing unbridled fracking worth risking California’s vibrant agricultural economy that puts food on our table every day so Big Oil can get their way? This is a guest blog from our ally in the Central Valley. Original post can be viewed here. Shafter, California is located in Kern County which is at the southern end of the San Joaquin Valley. Air pollution in this area is generally considered to be the worst in the nation. Pollution levels vary in Kern County according to location. For example, Shafter, in the center of the valley floor, located far from major highways, and upwind of Bakersfield, has significantly cleaner air than Edison which is alongside Hwy 58, close to the eastern valley foothills, and downwind of Bakersfield. Both Shafter and Edison have ozone monitors. The ozone levels are highest in August and September at both locations. Ozone is always worse at Edison but the levels track each other when the two sets of monitor readings are compared. The graph below shows the past six years of average ozone levels at each monitor for the months of August and September. Each summer, when Edison ozone levels increase or decrease, Shafter follows suit. The fact that levels at both places seem to be climbing over the past few years will be the subject of another discussion. Suffice it to say that valley air board claims of improving air quality are subject to dispute when recent trends like these are examined. Anyway, from 2007 to 2011 the two monitors represented by this graph follow each other. In 2012 they diverge. The question is what made the difference. Edison ozone levels improved while Shafter’s got worse. It happens that there have been a lot of new wells drilled and fracked on the north side of Shafter recently. Approximately 35 wells in the 27 months between January 2011 and March 2013. Some of these wells are right in the city limits and others just a mile or two north. About half a mile north of the town is the central processing plant for all these wells. There are oil tanks which vent volatile organic compounds (VOCs) continuously and a large flare on a 20 foot pipe which burns unwanted gases continuously and emits both NOx and VOCs. NOx and VOCs are the two ingredients that make ozone when there is also plentiful sunshine and high enough air temperatures. Last August and September, just when ozone levels are normally at their peak, the flare at this location was roaring. A 20 foot flame that sounded like a jet engine was burning as much as 3 million cubic feet of gas per day for the entire two months. The emissions from this flare during this time can be measured in the tons for both NOx and VOCs. It was equivalent to thousands of diesel trucks passing through Shafter daily. This is the most likely explanation for why ozone levels were higher in Shafter during those two months. Below is a video of this flare during that time. In conclusion, the fracking in Shafter is causing a lot of air pollution among many other concerns. It is literally killing some people. I woke up, shuffled into the kitchen to get the coffee started, then continue my pre-coffee shuffling out front to get the newspaper. AND, what is on the front page of the Oakland Tribune – “California Releases First Ever Fracking Regulations”. Did the Holidays come early? Should I ditch this coffee for a fresh made mimosa and call in sick? NOPE! Upon further reading, I see that the environmental groups are highly critical of these regulations and the oil industry claims this to be a good start. Hmm, well this was not turning into being the sunny mimosa morning I had envisioned two paragraphs ago. Then, buried deep in the article it starts to make sense. So, pour that coffee, because we’ve got a lot of work to do. Apparently, these new draft regulations come in response to the auction of mineral leases of 18,000 acres of land, known as the Monterey Shale formation. These 18,000 acres include land in Monterey, Fresno and San Benito Counties, that was owned by the Federal Government as public land! You better hit up those organic California wineries with your out of town relatives this year, because whatever remained of our Bay Area bubble has been broken. 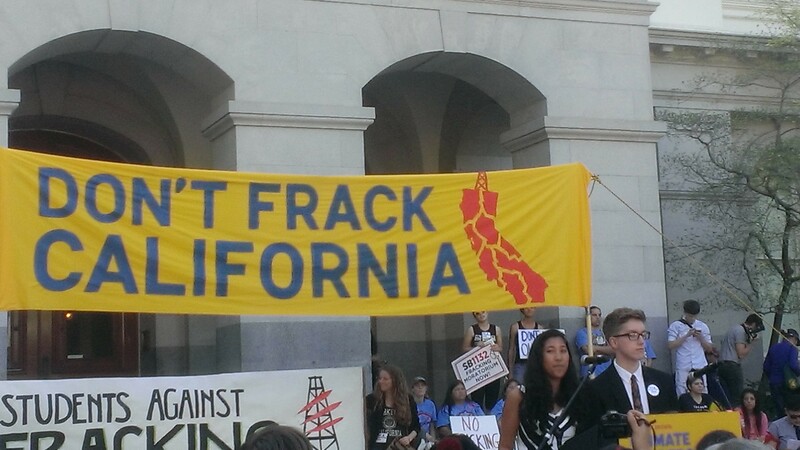 Fracking is coming to the Bay Area of California. Either way, that’s one good dog and pony show. So, make another pot of coffee. We’re going to need it. Erie Rising, a grassroots mom (parent) powered organization, has partnered with Global Community Monitor (GCM) to launch a Bucket Brigade in the quickly expanding natural gas development sites. These residents need answers to protect their health and the health of their families. They have a right to know what is in the air that they are breathing.